Dr Finkel commenced as Australia’s Chief Scientist on 25 January 2016. He is Australia’s eighth Chief Scientist. Prior to his appointment, he served as President of the Australian Academy of Technology and Engineering (ATSE), and for eight years as Chancellor of Monash University. As Chief Scientist, Dr Finkel is leading the development of the national hydrogen strategy at the request of the Council of Australian Governments. He also led the 2016 National Research Infrastructure Roadmap, the 2017 Review into the National Electricity Market (“Finkel Review”) and the 2018 STEM Industry Partnership Forum report. He serves as the Deputy Chair of Innovation and Science Australia. Dr Finkel has an extensive science background as an entrepreneur, engineer, neuroscientist and educator. He was awarded his PhD in electrical engineering from Monash University and worked as a postdoctoral research fellow in neuroscience at the Australian National University. Dr Finkel will present ‘A Preoccupation with the First Element of the Periodic Table’ at Chemeca. Kathryn Fagg is an experienced chairman and board member having worked in senior executive roles across a range of industries, from resources, to manufacturing and logistics, as well as banking and professional services, in Australia, New Zealand and Asia. Kathryn is Chairman of Boral Ltd, and Non-Executive Director on the boards of ASX-listed companies Djerriwarrh Investments and Incitec Pivot. In August 2018, she was appointed to the board of the CSIRO. She was a member of the board of the Reserve Bank of Australia from 2013 to early 2018. Kathryn is President of Chief Executive Women (CEW) and Chairman of the Melbourne Recital Centre as well as Breast Cancer Network Australia (BCNA). She previously served as Chairman of Parks Victoria. Kathryn is a board member of the Grattan Institute and the Male Champions of Change. Kathryn is also a board member for the Australian Centre for Innovation and is a Fellow of the Academy of Technology and Engineering where she chairs the Industry and Innovation Forum and is a member of the Diversity and Inclusion Committee. Kathryn commenced her professional career as a petroleum engineer with Esso Australia (now Exxon Mobil), after completing her chemical engineering degree at the University of Queensland. As a petroleum engineer, her work was focused on maximising oil and gas production from the fields in Bass Strait. From Esso, Kathryn moved into management consulting with McKinsey & Co working on engagements in strategy and change management. She then joined the ANZ Banking Group. Her roles at the bank included General Manager, Retail Banking, in New Zealand, and Managing Director, Banking Products for the Group. Following ANZ, Kathryn returned to her industrial roots and joined BHP Steel which became BlueScope Steel. Senior executive roles with BlueScope included President, Australian Building and Logistics Solutions and President Asia, based in Singapore, where she had responsibility for BlueScope’s operations across the Asia region, including as Chairman of Tata BlueScope Steel in India. 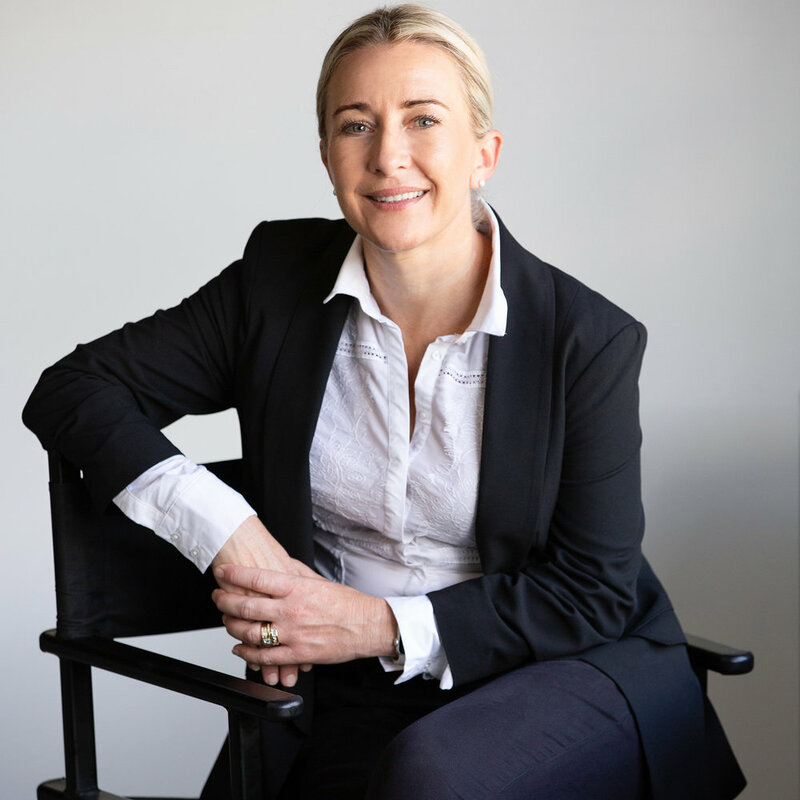 From BlueScope, Kathryn was at Linfox for three years as President FMCG (Fast Moving Consumer Goods), where she was responsible for providing logistics services to 9 of the world's ten largest FMCG companies in Australia, New Zealand and Asia. Subsequently, she has pursued a career as a Non-Executive Director. In addition to her engineering degree, Kathryn holds a Master of Commerce in Organisational Behaviour from the University of New South Wales. She has been awarded an honorary doctorate in Chemical Engineering from the University of Queensland and an honorary doctorate in Business from the University of New South Wales. Kathryn was a recipient of the University of Queensland’s Inaugural Vice-Chancellor’s Alumni Excellence Award in 2013, and in 2017 she was awarded the Ada Lovelace Medal for an Outstanding Woman Engineer by UNSW. Kathryn will be presenting ‘Into the 2020's: Challenges and Opportunities’ at Chemeca 2019. 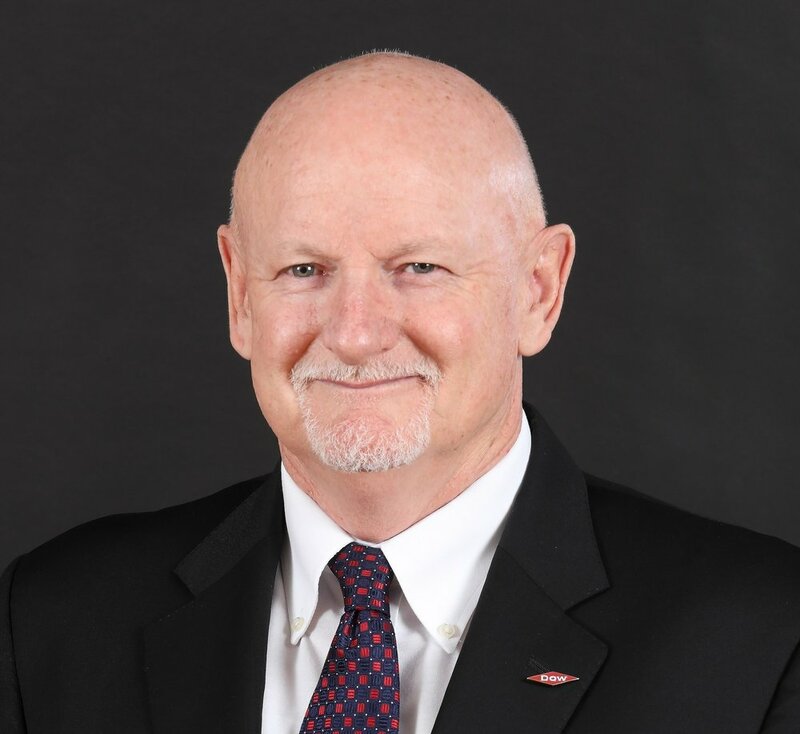 Jim McIlvenny is President, Dow Asia Pacific. He also serves as Chairman of the Dow Sadara Project Office and Vice Chairman of the Board of Directors of Sadara Chemical Company, a joint venture developed by The Dow Chemical Company and Saudi Arabian Oil Company (Saudi Aramco). McIlvenny joined Dow in Australia in 1982, and has since held a number of roles in business and geographic leadership. He has travelled extensively and has taken on business assignments in Australia, Japan, China, and in the U.S. In 1994, McIlvenny was named President and CEO of FilmTec Corporation and in 1998, he was appointed President and CEO of Hampshire Chemical Corporation, Dow’s wholly-owned subsidiary. McIlvenny was Business Vice President of Specialty Polymers before moving to China in 2004. He was named President of Dow Asia Pacific in 2006. McIlvenny has been an active contributor in the development of a sustainable chemical industry in Asia Pacific through participation in leading sustainability organizations and development of joint partnerships in sustainable chemistry with governments and NGOs in Asia. He served as a board member of Junior Achievement, the world’s largest organization dedicated to educating students about entrepreneurship, as well as a corporate advisory board member of China Europe International Business School. In 2009, he was named Senior Vice President for Performance Products, and oversaw a division that accounted for US$13 billion in sales. The businesses within this global division covered an extensive range of products for household, transportation, coating and personal care markets. McIlvenny was named Group Senior Vice President of Mega Projects in 2010, then became Chairman of the Dow Sadara Project Office in 2011. His responsibilities included leading Dow's key large-scale investments designed to meet the growth opportunities of tomorrow, and to enhance the long-term profitability of Dow. He was appointed President of Dow India, Middle East, Africa and Turkey in early 2017 before being named as Dow Asia Pacific President. Jim will present ‘The Fourth Industrial revolution – Its challenges and opportunities’ at Chemeca. Belinda Grealy is the European Business Manager for Orica. As the leading global supplier of commercial explosives, Orica operate in every major mining market across more than 100 countries. As the Area Business Manager of Orica’s subsidiaries and Joint Venture partners across Europe, Belinda Grealy leads a culturally diverse team throughout nine countries to ensure quality blasting services for over 2000 customers. Having been awarded the University Medal and earned a BSc Honours Degree in Chemical Engineering and a Master of Business Administration with the University of Newcastle, Australia, Belinda commenced her professional career with BHP Steelworks in 1993. Belinda continues to enjoy and advance her career cultivated in the Australian Heavy Industry landscape. Belinda is recognised for successfully delivering improved performance in complex commercial and operational management roles within steel and aluminium manufacturing, rail haulage and logistics, as well as stevedoring and blasting services. An advocate and role model for STEM based careers, she has continued to collaborate with educational and technical institutions to open minds and highlight career pathways in industries that are being re-imagined. Challenging organisations in which she operates, Belinda is focussed on introducing and unlocking diverse talent as well as utilising a collaborative approach to advance technology offerings for Orica’s customers. A recent move from Newcastle, Australia to Manchester, United Kingdom has seen Belinda shift away from some of her greatest loves; family and surf lifesaving, to trail run around Europe and bring together one of Orica’s most diverse regions and advance new technologies in the quarry and mining market. Sidney Dekker (PhD The Ohio State University, USA, 1996) is professor at Griffith University in Brisbane, Australia, where he runs the Safety Science Innovation Lab. He is also Chief Scientist at Art of Work. Sidney coined the term ‘Safety Differently’ in 2012. It has since become a book, a website, a film (released in 2017) and, in fact, a movement. Sidney is instrumental in promoting restorative just culture as a response to incidents. His film ‘Just Culture’ was released in 2018. He has lived and worked in seven countries across the world. Shortly after becoming professor, he qualified on the Boeing 737, and worked part-time as an airline pilot out of Copenhagen. He is best-selling author of, most recently: The Safety Anarchist (2018); The End of Heaven (2017); Just Culture (2016); Safety Differently (2015); The Field Guide to Understanding ‘Human Error’ (2014); Second Victim (2013); Drift into Failure (2012); and Patient Safety (2011). Dr. Segal is an Associate Professor of Biotechnology and Food Engineering at the Technion – Israel Institute of Technology. Her research focuses on the broad interface between materials science and biotechnology to address problems in medical diagnostics, food safety, and therapy. She received her PhD in Chemical Engineering from the Technion in 2004 and later trained at the University of California – San Diego, where she was a Rothschild postdoctoral fellow. Dr. Segal has authored more than 80 peer-reviewed journal articles, reviews, book chapters, and patents. She has received numerous prestigious fellowships and prizes over the course of her career, most recently the 2019 Advances in Measurement Science Lectureship Award by the American Chemical Society. After graduating with honours in mechanical engineering, Trish spent several years working in project management, operational and safety roles for the oil, gas and chemical industries. Trish has represented industry on many government committees related to process safety, and sits on the board of the Australian National Offshore Petroleum Safety and Environmental Management Authority (NOPSEMA) and the Mary Kay O'Connor Process Safety Center (MKOPSC) steering committee. Trish is a Chartered Engineer, registered Professional Process Safety Engineer, Fellow of IChemE and Fellow of Engineers Australia. Trish holds a diploma in OHS and is a graduate of the Australian Institute of Company Directors (GAICD). In 2015 Trish received the John A. Brodie Medal from Engineers Australia for her paper on Process Safety Competency at the Asia Pacific Congress of Chemical Engineering and in 2018 received the Trevor Kletz Merit Award from the MKOPSC for her work in process safety internationally. Trish will give a presentation on her process safety knowledge and experience at Chemeca. As a strategic minded professional Daniel has built a career around leading team, influencing change and disrupting the norm. Understanding that true success comes from the success of many, he prides himself on a successful history of projects, best practice operating models and change programs, while now leading the way in industry disruption and innovation. Maintaining a focus on establishing engaged and empowered teams, Daniel has taken his process engineering, asset management and strategic mindset to achieve significant cross sector innovation. As the Co-founder of Compeat Nutrition, he and his wife have worked to solve an Allied Health industry problem to disrupt the Nutrition and Dietetics servicing sector. Here Compeat Nutrition provides accessible, agile and economic solutions that empower both the client and the professional. All while revaluing the Sports Nutrition and Dietetic profession. Daniels goal - To provide value to both professionals and the community to ensure a sustainable, prosperous and healthy future for generations to come. Daniel will discuss “Application of the process mindset for innovation and disruption in alternate industries” at Chemeca. After Zhao received PhD in Chemical Engineering from UQ in 1999, he worked as a UQ postdoctoral research fellow till 2011. He then joined National University of Singapore as an assistant professor to work at Department of Chemical and Biomolecular Engineering, was promoted to associate professor in 2006. He came back to work at UQ Chemical Engineering School in 2011 as a professor and ARC Future Fellow. George’s research program focuses on novel porous materials for energy and environmental applications. His research interests include microporous zeolite catalysts for hydrocarbon conversion, mesoporous adsorbents and catalysts for gas and water purification, three-dimensional macroporous photonic crystals, and porous carbon materials including graphene for batteries and supercapacitors. His current research focus is to develop advanced porous electrode materials for sustainable energy technology, including sodium-ion batteries, hybrid capacitors, and solid oxide fuel cells. George has received awards and honours, including Mrozowski Award of the American Carbon Society, ARC Laureate Fellow and ARC Future Fellow, UQ Vice-Chancellor’s Research and Teaching Fellow, and Thomson Reuters Highly Cited Researcher in 2016 and 2018. George will be presenting on megatrends in the area of material science and engineering at Chemeca. Professor Rose Amal is a UNSW Scientia Professor and an ARC Laureate Fellow. Amal is a chemical engineer and the leader of the Particles and Catalysis Research Group. Previously she was also the Director of the ARC Centre of Excellence for Functional Nanomaterials (2010-2013). Professor Rose Amal is recognised as a pioneer and leading authority in the fields of fine particle technology, photocatalysis and functional nanomaterials having made significant contributions to these related areas of research over the past 15 years. She has published > 350 journal publications which have cumulatively received over 16,500 citations, resulting in an H-index of 68 (as of February 2019, SCOPUS). Professor Rose Amal has received numerous prestigious awards including: being listed in the Australia's Top 100 Most Influential Engineers (2012-2015), the ExxonMobil Award (2012), the Judy Raper Women in Engineering Leadership Award (2012), the NSW Science and Engineering Award - Emerging Research (2011), and the Freehills Award (2008). She is a Fellow of Australian Academy of Technological Sciences and Engineering (FTSE), a Fellow of Australian Academy of Science (FAA) , Fellow of IChemE, and Honorary Fellow of Engineers Australia. She has received the nation’s top civilian honour – the Companion of the Order of Australia – as part of the 2018 Queen's Birthday Honours for her eminent service to chemical engineering, particularly in the field of particle technology, through seminal contributions to photocatalysis, to education as a researcher and academic, and to women in science as a role model and mentor. Kevin Galvin is the inventor of the RefluxTM Classifier used in gravity separation of fine particles. With over 150 installations around the world, the technology has been used to beneficiate coal, iron ore, mineral sands, potash, chromite, and other base metal oxides. New innovative systems are emerging including the Reflux Flotation Cell through collaboration with FLSmidth. He has also been developing a novel agglomeration technology. Kevin Galvin obtained his PhD from Imperial College and is a Laureate Professor at the University of Newcastle in Australia. He is a Fellow of the Australian Academy of Technology and Engineering and previous recipient of numerous awards including the Ian Wark Medal, the Clunies Ross Award, and recently the Antoine Gaudin Award in mineral processing. He is Director of the ARC Research Hub for Iron Ore, and Centre for Advanced Particle Processing and Transport, which form part of the Newcastle Institute for Energy and Resources (NIER) at the University of Newcastle. Kevin will be presenting on crystallisation, particle and mineral processes at Chemeca. 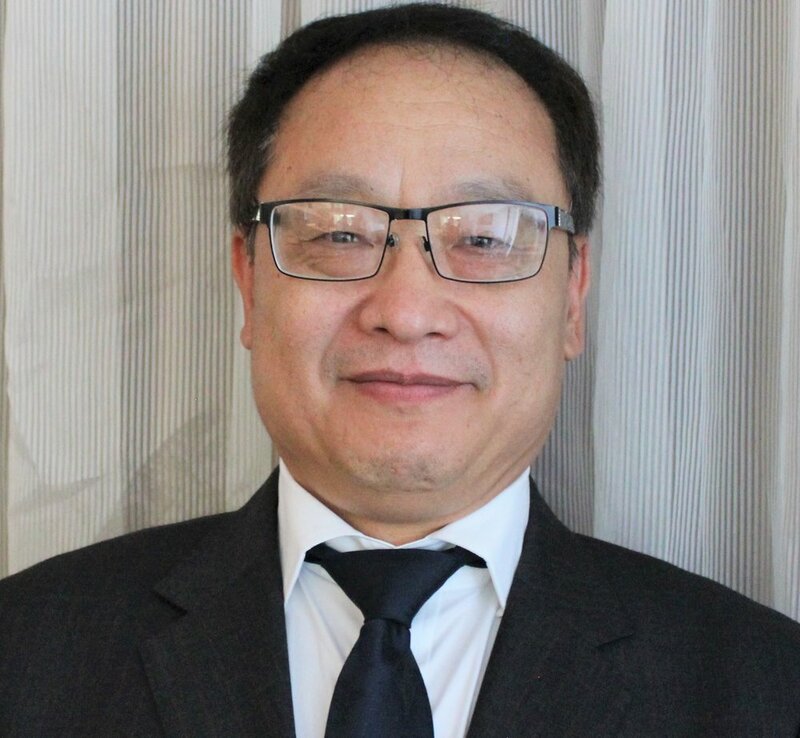 Professor Ho Kyong Shon is an Australia Research Council (ARC) Future Fellow and the President of the Membrane Society of Australasia (MSA) at the University of Technology Sydney. He specializes in understanding physico-chemical water treatment processes in water, wastewater and seawater. His recent research career focuses on studying resources recovery from water and wastewater, emerging membrane technology such as forward osmosis and membrane distillation from membrane fabrication and application for desalination and water purification. He has coauthored 1 FO book, 20 book chapters and numerous journal publications with over 8200 citations and 46 h-index and several international/domestic awards over the last 20 years. He will give a presentation on his resources recovery using membrane technology at Chemeca. The ExxonMobil Award of Excellence in Chemical Engineering (IChemE), for the Establishment of the World's First Large-Scale Testing Facility for the Assessment of Ventilation Air Methane (VAM) Abatement Systems at the Londonderry Testsafe Facility, 2018. Good Design Australia Award (Engineering Category) for establishing “The World's First Large-Scale Testing Facility for Assessment of Ventilation Air Methane (VAM) Abatement Systems, May 2018. Tony Fane is a Chemical Engineer working on membranes since 1973. His interests are in membranes applied to environmental applications and the water cycle. He is former Director UNESCO Centre for Membranes at the University of New South Wales, former Head of Chemical Engineering and now Emeritus Professor at UNSW. Since 2002 he has directed membrane research in Singapore as Temasek Professor (2002-2006) at Nanyang Technological University, and since 2008 as Founding Director of the Singapore Membrane Technology Centre (SMTC) at NTU. He is now Visiting Professor at SMTC. He is on the Advisory Boards of the Journal of Membrane Science (former editor) and Desalination. He is FIChemE, Fellow of the Academy of Technological Science & Engineering and Patron of the Membrane Society of Australasia. He received the IWA Membrane Technology Award in 2013 and was joint recipient of the Prince Sultan International Alternative Water Prize in 2016. Tony will be presenting on water and wastewater management and processes at Chemeca. Professor Doug MacFarlane is an Australian Laureate Fellow at Monash University’s School of Chemistry and leader of the Energy Program in the Australian Centre for Electromaterials Science. He is the Australian Academy of Science’s Craig Medalist 2018 and winner of the Victoria Prize for Science and Innovation 2018. He is one of the pioneers of the field of ionic materials and his research group continues to break new ground in this cutting-edge area of inter-disciplinary chemistry. Ionic materials are broad family of previously un-discovered materials and media that are finding application in diverse contexts including ammonia generation batteries, green solvents and medicinal chemistry. Professor Macfarlane’s group has contributed seminal work in all of these fields. He has published more than 650 papers and 30 patents, including papers in Science and Nature. Professor MacFarlane was elected to the Australian Academy of Science in 2007 and the Academy of Technological Sciences and Engineering in 2009. He is a member of the Editorial Advisory Boards of Chemical Communications, Green Chemistry, Sustainable Energy and Fuels, ACS Sustainable Chemistry and Engineering and ChemSusChem. Doug will be presenting on catalysis, green and sustainable processes at Chemeca. Professor Baohua Jia is a full professor and Research Leader at Swinburne University of Technology. She received her BSc and MSc degrees from Nankai University, China. She was awarded a PhD (2007) from Swinburne University of Technology, Australia. She is now the President for Australia-China Advanced Materials and Manufacturing Association. Dr Jia’s research focuses on ultrafast laser imaging, spectroscopy and nanofabrication of novel photonic nanostructures and employment of nanostructures and nanomaterials for clean energy related research. Dr. Jia has co-authored more than 200 scientific publications in highly ranked journals and prestigious international conferences including Nature Photonics, Advanced Materials and Nano Letters. She has delivered more than 40 invited talks at prestigious international conferences and serves multiples professional committees. She has received numerous prizes and awards, with the most recent ones including the 2015 Significant Women in Australia, 2013 Young Tall Poppy Science Award, 2012 L’Oréal Australia and New Zealand for Women in Science Fellowship, Discovery Early Career Researcher Award (DECRA) from the Australian Research Council (2012), Vice-Chancellor's Industry Engagement Award (2011), Victoria Fellowship from the Victorian Government (2010). George Franks is a Professor in Chemical Engineering at the University of Melbourne. He completed his undergraduate degree in Materials Science and Engineering at MIT in 1985. He worked for seven years in the ceramics industry and completed his PhD in Materials in 1997 at UCSB then moved to Australia. His research includes suspension rheology, ceramic powder processing, materials modelling and minerals processing. His work in materials engineering relates to processing complex shaped ceramics and composites with unique microstructures such as multi-scale porous ceramics. Research in defence includes ultra-high temperature ceramics for aerospace applications and light weight ceramic armour. His work in minerals processing relates to development and application of novel polymeric reagents in solid/liquid separation and froth flotation. Franks is a member of the Particulate Fluids Processing Centre and the Defence Materials Technology Centre. He has 120 papers in international peer reviewed journals, 6 book chapters and four patents with 3700 citations and h-index = 32 He is Associate Editor of the Journal of the American Ceramic Society and Editor of Advanced Powder Technology. Franks will talk on 3D printing of multiscale porous ceramic materials at Chemeca 2019.